Green Party membership has overtaken the UK Independence Party’s, making it Britain’s fifth-largest political party in terms of members behind Labour, the Conservatives, the Scottish National Party and the Liberal Democrats, a report finds. Over 1,600 people joined the Green Party on Wednesday alone, pushing their total membership to roughly 42,500, surpassing UKIP’s 41,943. Green membership is catching up with the Lib Dems, which has fallen to 44,576, prompting speculation they could become Britain’s fourth-largest political party before the general election in May. Outrage at Ofcom’s ruling to exclude the Greens from pre-election televised leadership debates may be responsible, the report’s author speculates. The Green Party is devolved into three parties: for England and Wales, Scotland and Northern Ireland. This membership figure is a total of all three branches. Initial findings published by openDemocracy on Wednesday put the Greens close behind UKIP at 40,879. However the author updated the report late that night with new membership figures which overtake UKIP by about 550. The party’s membership surge follows last week’s ruling by British media regulator Ofcom that the Greens are not a “major party” and do not need to be included in the pre-election leadership debates. Current proposals include the Conservatives, Labour, the Liberal Democrats and UKIP only. Prime Minister David Cameron has refused to take part in the debates unless the Greens are included, sparking a row with the other three party leaders. Ironically, the explosion of press coverage following Ofcom’s ruling has actually helped the Green Party’s surge in popularity, openDemocracy says. not said often enough, but, as Green membership rapidly catches that of the Lib Dems, I think @natalieben can take a huge dollop of credit. Ofcom’s rationale for excluding the Green Party was that it had not demonstrated significant support in opinion polls, or in previous general elections. The Greens received 0.9 percent of votes in the 2010 general election, with Caroline Lucas MP winning the party’s first seat in Brighton Pavilion. YouGov’s latest poll, published late Wednesday, indicates that the Green Party has 7 percent support, placing them fourth in the UK, excluding the Scottish National Party (SNP) which wasn’t included in the survey. Labour polled 34 percent, the Conservatives 32 percent, UKIP 15 percent and the Lib Dems 6 percent. OpenDemocracy’s research into political parties found that Labour has 190,000 members; the Conservatives 149,800; the SNP 92,000; the Lib Dems 44,576; UKIP 41,514; the Greens 42,500 and the Welsh national party Plaid Cymru 8,000. Has anyone checked that the green party aren't counting trees or something for their membership as well? I see the Green party membership overtaking UKIP didn't get picked up by the BBC. What a surprise. Showing their bias more and more. Green support has grown steadily in the run-up the general election on May 7, and now looks set to overtake the Lib Dems. 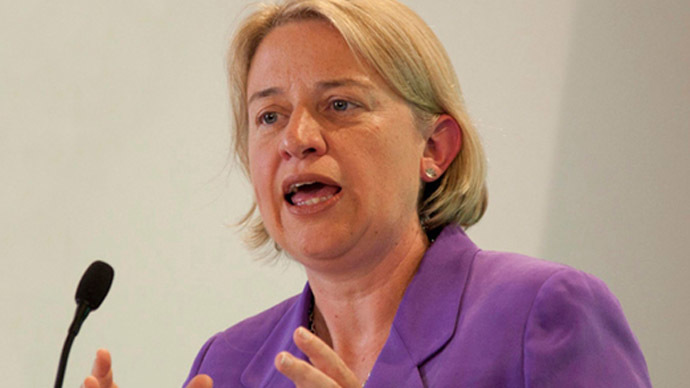 Speaking in December, Green Party leader Natalie Bennett said Nick Clegg, Deputy Prime Minister and leader of the Lib Dems, had “betrayed” his voters by adopting “right-wing” policies. News of the Green Party’s growth in membership comes as UKIP claims its support in Wales has “surged” among people who have not voted for the past 20 years. UKIP leader Nigel Farage also claimed that ex-Labour supporters were voting for his party.